Ah love…First you meet each other, then you fall in love, and then if it reaches this point, you decide to get married. It’s wonderful, those first months and years of being in a serious relationship. It’s at that stage in your relationship that maybe you laugh more together. You do more fun things. You touch each other more. You make more eye contact. You pay more attention to your partner’s needs. There’s a lot more positivity and love going on in a relationship while you’re in the throes of the falling in love stage. Then, things start getting comfortable. Or chaotic. Maybe you have kids which results in your relationship with your partner being pushed aside as you focus on the immediate needs of the little ones. Children take a lot out of you, so you’re spent by the end of the day (or even before you even get out of bed in the morning!). Maybe you stop greeting your partner at the door in a pleasant way when they get home from work- or they stop greeting you. It’s easy to fall into a pattern of being comfortable with each other or taking each other for granted. Maybe the phone calls where you just call to say I love you stop and in their place are texts- entreaties for picking up milk and bread on the way home. Relationships take work. Relationships need focus and effort. The ideal ratio of positive to negative statements that occur in a relationship is 5 to 1. That is, 5 positive statements to 1 negative one. When couples first meet and fall in love, studies show that they engage in this 5:1 ratio. Fast forward 3 years, and this ratio flips to 5 negative statements to 1 positive. Dr. Gottman’s research found that when the ratio of a couple’s communication flipped to 5 negative statements, the couple was on the path to divorce. 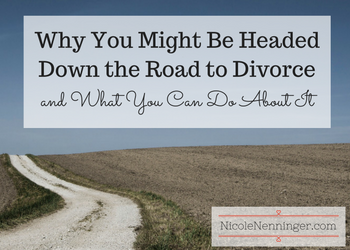 Now that you know that one of the tell-tale signs of divorce is how much negativity occurs in your conversations with your partner, you have the ability to change the course of your relationship. Changing this pattern of your communication can have a significant impact. As you go through your day, pay attention to how many positive statements you say to one another. Many couples enter counseling when they are at the breaking point. That’s why a lot of statistics say counseling doesn’t work. One partner has already made the decision that they aren’t committed anymore and they won’t be convinced otherwise. Or, the conflict has brought out the worst in one or both partners and the damage has been done- one person can’t get past the hurt and pain. It doesn’t have to reach this point. If you need help with your relationship, counseling and relationship coaching are excellent methods of working one-on-one with a professional who is trained to help guide a couple to hope and healing. I see couples as well as individuals if your partner is unwilling to participate. If you’re interested in finding out more, CLICK HERE to contact me. If you’re not ready to see a professional, reading books on the subject is also helpful. 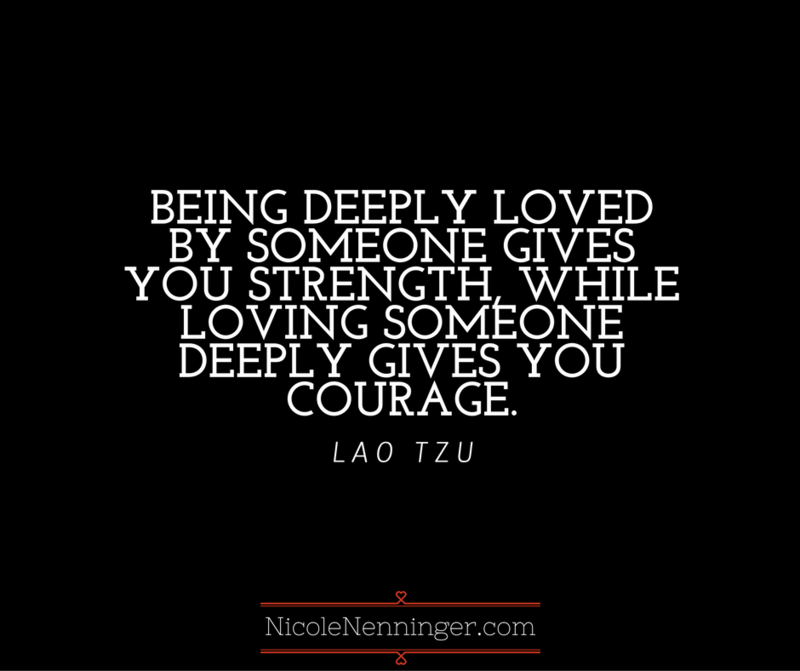 I recommend Dr. John Gottman’s books and Harville Hendrix’s book Getting the Love You Want. I also have articles on this site that can help you and your relationship. If you make the choice to stick with your significant other, also keep in mind that it is important to make the decision to honor and cherish your relationship. You may have other commitments in your life like kids and a career, however your relationship with your partner is also a priority. This is the person you’re intending to spend the rest of your life with. Make that part of your life a loving, safe, and nurturing experience. You deserve it!